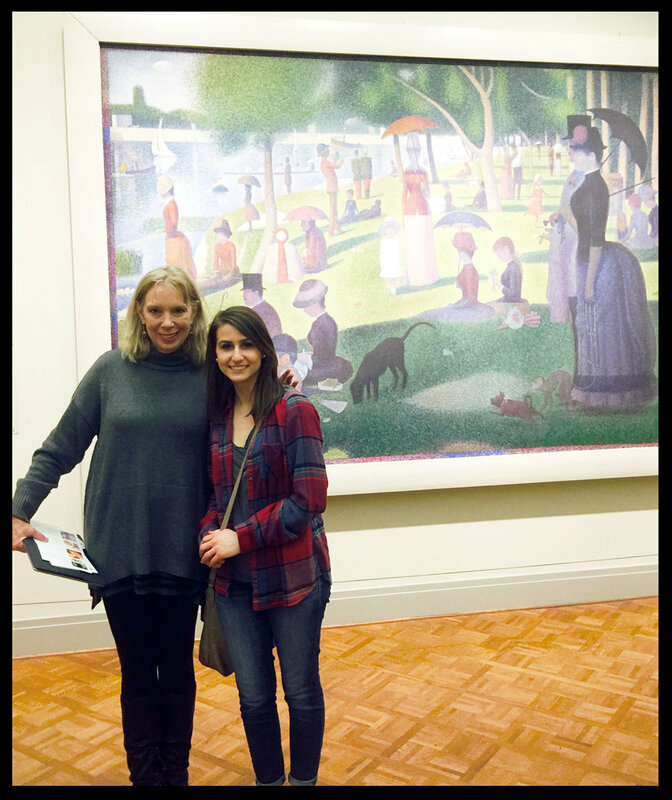 My niece and I stand in front of "A Sunday on La Grande Jatte" by Georges Seurat, The Art Institute of Chicago. For many years, I wanted to be a member at Art Institute of Chicago. I thought about it each time I received one of their tasteful email invitations. I imagined if I were a member, I would just go there, with no excuse not to, and it would be a wonderful part of my life. Membership was one of those things that sounded good, but I never did it. This past spring, in an effort to entice family members from other cities to visit Chicago and to embrace the spirit of author Shonda Rhimes, in her book “The Year of Saying Yes,” I bought an AIC membership – a premium one. I can go now, as often as I’d like, and bring guests. I'll be sharing insights about this with you over a couple entries here. Some of this may surprise you.